Moving doesn’t have to hurt. It might be painful to see the financial cost, it might be hard to leave friends and family, and it could be tough to contemplate the stress of selling and packing. However, when it comes to moving day itself, limit the pain by preventing injury. Unfortunately, the most-damaged item in a move is usually yourself or the people who come to help out. This simple guide can help you stay healthy and fit so you’re not suffering with an injury while dealing with the stress of moving. One of the simplest ways to prevent injury is to anticipate how injuries could occur and prepare or prevent them from happening. For example, if you’re moving in winter, you could arrive ahead of the moving truck and shovel the walks and salt the steps to make sure nobody slips on an icy path while carrying a heavy box. Wearing gloves. A pinched or smashed finger is less likely to be serious if the hand itself is protected by thick, sturdy gloves. Using head protection. Covering your head is a good idea for taking boxes down from high places or if you ever need to reach over your head for anything during the move. You can’t guarantee that a box is secure enough not to bottom out or that your grip is strong enough to support a box that’s suspended above you. Making sure floors are not slippery when wet. Garage and basement concrete can be quite slick. If it’s raining outside, consider taping cardboard boxes down over the areas that would be slick for those wearing wet boots. Bringing extra tools. Hand trucks and nylon wrist straps are not just nice to have around. They’re essential for taking the strain off of the body for bulky or heavy object. If your new home needs any safety repairs, especially if accessibility is compromised, complete these before moving day. Many people try to do too much on moving day. Doing too much, especially if you are not a consistent exerciser, can result in overuse injuries to muscles and joints. Ask for help for heavy items. Don’t strain with any box or piece of furniture. If you’re struggling with it, get a second pair of hands before continuing to move it. Assess your abilities realistically. Hire extra help if you need it. You don’t have to do everything yourself. If you’re short on able-bodied help, hire professional movers. Professional movers know how to avoid injury, and they will prevent you from over-extending your abilities. It’s better to pay more for short-term assistance than to have a long-term or lasting injury because you did too much. Unfortunately, a lot of injuries during a move might not be from strained muscles or slips and falls but instead from lack of basic needs. Make sure that every person helping with the move has access to plenty of water. Staying hydrated is especially important when moving in cold weather because people may not realize that they are feeling thirsty when it is cold outside. It’s possible to get dehydrated quickly in dry weather, especially with the physical exertion of the move itself. Bending at the knees to lower yourself to the ground. Try not to bend at the waist. Keeping your core muscles engaged as you start to lift from the ground. Keeping your back neutral and straight as you lift up. Holding the object in front of you with your back straight. 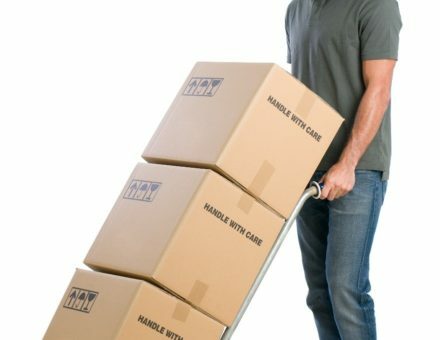 You should not be tipping your body backwards as you try to transport a box. Objects that are too heavy cause you to bend too far back to accommodate. Never carry more than one box at a time when moving. If you’re moving heavy furniture, make sure a non-lifting person is there to help you clear obstacles and to spot you in case you might lose your grip. Finally, you should be prepared just in case you do have a casualty on moving day. Keep a first aid kit in an accessible place to deal with cuts, scrapes or other wounds. Stock up on antibiotic ointment and simple bandages. You may also want to have some over-the-counter pain medications handy, as well as basic gauze and wraps for sprains. For more information about planning, packing and executing your move, contact us at Wheaton World Wide Moving. We provide full moving services so that you can take as much pain out of the process as possible.